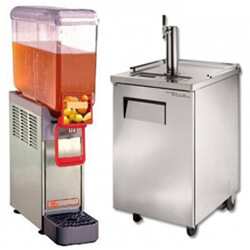 Beverage equipment is an essential part of running any food service business. 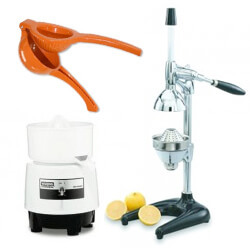 Whether you are running a cocktail bar, or a coffee bar, or catering an event, at Mission Restaurant Supply you will find a wide variety of beverage equipment and supplies. 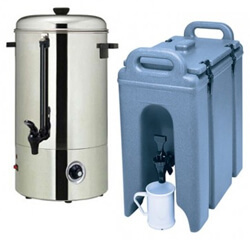 Buy cold drink dispensers for quick, easy dispensing of chilled water, iced tea, and other beverages. 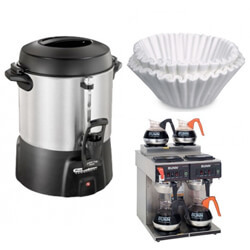 Shop hot beverage equipment such as commercial coffee makers and coffee percolators. Looking for a frozen beverage offering? 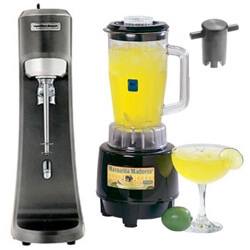 MissionRS offers margarita machines for your bar, as well as commercial bar blenders to whip up top shelf beverages for your restaurant patrons.. Equip your spa, hotel, restaurant or banquet set-up with the best commercial beverage equipment on the market and get great wholesale prices on food service brands you can trust, including Waring, Hamilton Beach and Vitamix, when you shop at Mission Restaurant Supply!